fishing for Yellowtail Snappers for most of the day today. Conditions were not the best. The water was clear enough to see down to the bottom in 40 ft of water. 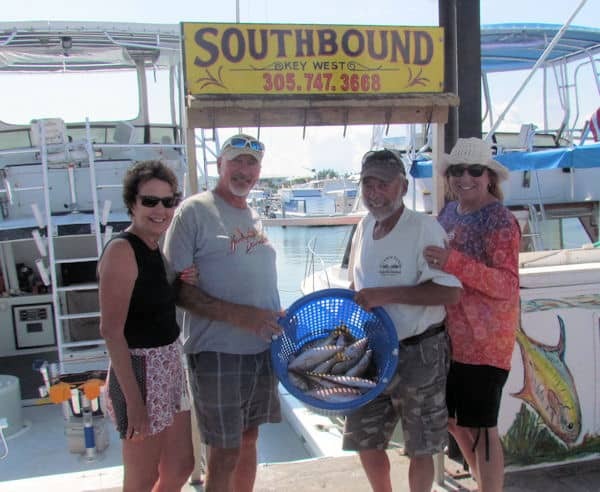 Normally, fishing for Yellowtails is better when the water has less visibility. In the clear water the predators, the sharks, and the barracudas can see the Yellowtails from a long way off. The snappers stay deep and close to the coral for protection. using a light fluorocarbon leader helps. Fluorocarbon is somewhat visible in the water so the Yellowtail snapper can’t see it. Usually, 15lb test is good, But there are times when a heavier leader is needed, if the Yellowtail Snapper are large, 3lbs or better, or if the sharks are present, you have to use a heavier leader so you can put more pressure on the fish to get it in. while we were fishing for them. 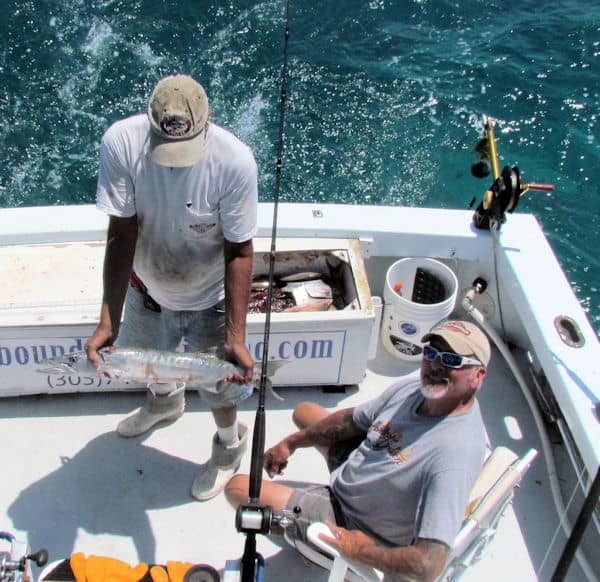 There was one big barracuda that was hanging around, but it never stole any of our fish. The boat next to us had a couple of lemon sharks come up behind his boat and try for a couple of his Yellowtails but, fortunately, they weren’t too aggressive and never got any of his fish either. , the bite wasn’t fast. it was what we call a slow pick. I was tempted to go looking for a faster bite, but there is an old adage in fishing, “never leave fish to find fish”. So we stayed. While it was a beautiful day, it was a slow fishing day in general. Most of the boats that were trolling were not catching much. I’m glad we stuck with the Yellowtails.